“I would like to recommend a splendid excursion provided by my No 1 resort. The challenge of the Aradena Gorge requires the forsaking of the pool or beach for only a morning and adds an extra dimension to an unforgettable stay at the Vritomartis resort. The bus travels high above Chora Sfakion before crossing a metal bridge with a breathtaking view into the chasm below – Aradena Gorge. This is the point at which the walk starts with the descent on the old mule track to the bottom before turning to pass beneath the bridge. 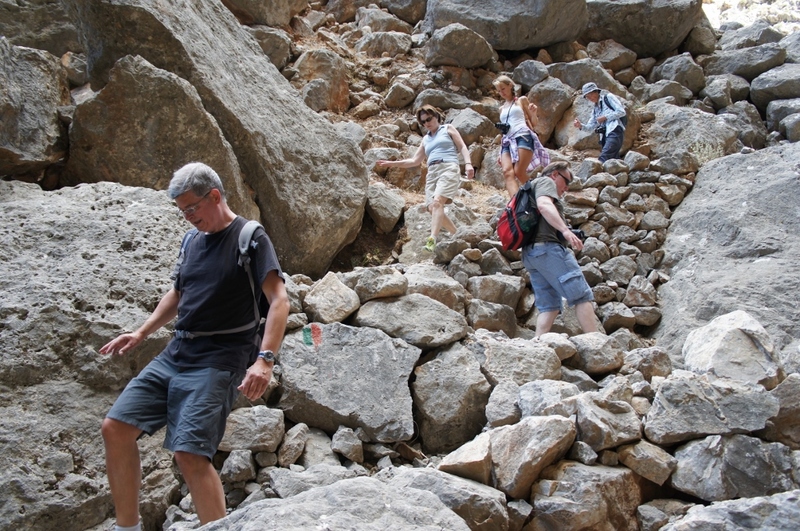 With a total drop of almost 600m some scrambling down the boulder strewn gorge is necessary. However, a diversion does enable the most difficult part of the route to be circumvented, namely the steel ladders. Bolted to house sized boulders, these require nerves of steel to all but the most intrepid, to descend. The easy (no easier!) 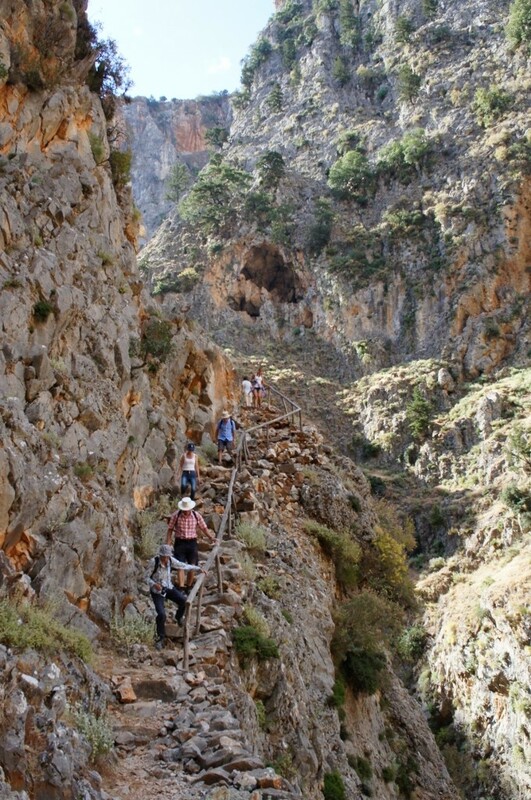 diversion follows steps up and down the wall of the gorge. Eventually Aradena becomes gentler with colourful Oleanders lining the path before giving way to the most welcome Marmara beach. The cafe/bar at the edge of the beach is a joy to behold, especially on a hot day. 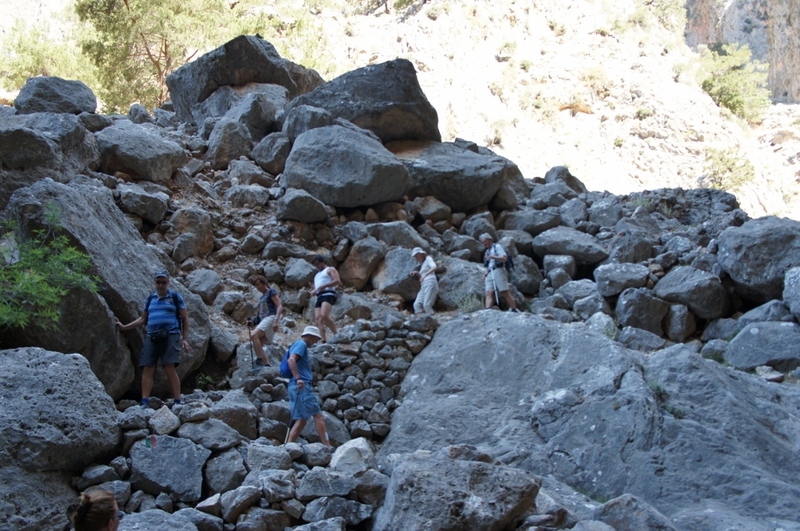 The walk is magnificent, not being as long or deep as the Samaria gorge but definitely more challenging and quieter, (no crowds here). It is a great walk for the young and fit, or the older, young at heart soul who maybe has had some mountain walking experience. For more information about Vritomartis excursions click here. 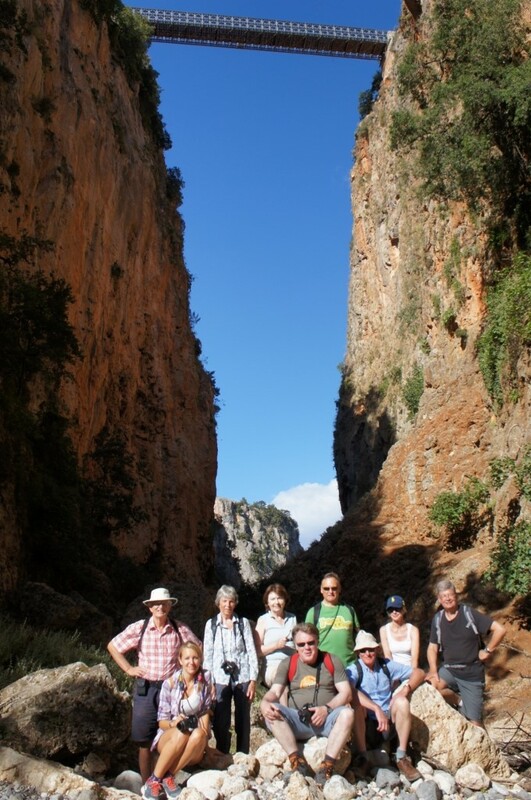 This entry was posted in Naturism in Crete and tagged Aradena Gorge, Excursion, Hiking by Vritomartis. Bookmark the permalink.